Car transport isn’t something everyday Australians do. Booking a car at first comes across as a confusing or difficult task. Shipping your car is actually far easier than you think and there is no need to be worried about being out of pocket, drowned in paperwork or checks and mechanical hoops to jump through. 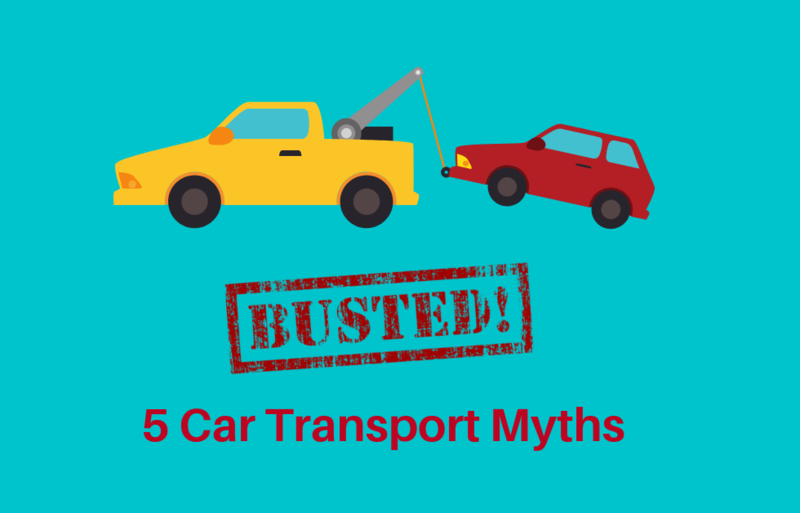 We are here to share our top 5 car transport myths and bust them! If you haven’t transported your car across Australia before, you may assume a couple of things. One, that you need to spend hours in paperwork and preparation to book your car shipment in and two, you may assume that the large car trailer will take a long time to reach its destination. In fact, multi-vehicle trailers can pick up your car from a local depot and make their way interstate in no time. Auto transport vehicles are built for long distances as are the drivers behind the wheel. Driving yourself will mean frequent stops for petrol, rest stops, sleep and refreshments. It will also add wear and tear on your car and add KM’s on the clock which devalues the price of your car. If you shop around and get some quotes, you will quickly see that shipping your car interstate is far cheaper and easier than you may initially think. Australia is a big country and the internet brings us all closer together. More and more private car transport bookings are being shipped interstate every day. Vintage car collectors, sports cars, racing cars and job relocations are all reasons every day Australians are booking car transport. The spot on the multi-vehicle trailer is the same, whatever the reason. This is one of our favourite car transport myths which definitely needs busting! The car transport booking depends on many different factors, not just distance. For example; a multi-vehicle car trailer who needs to fill one last spot for a trip Sydney to Adelaide may offer a great deal for a full load. Whereas, a single vehicle closed trailer, which needs to transport and move a non-drivable vintage car will likely cost more. The best way to get the cheapest and most accurate price on car shipping is to give as many details as you can to the transporter. We can prove that this is a doozy of a car transport myth! You can spend time calling around different transport companies or plugging in online forms to shop around for the best price, or you can post your job just once! By posting a job on ecoloads and adding all the details of your car transport job you then have the privilege of car transporters finding you and bidding for your job. This is the best way to keep pricing keen and competitive, leaving you to choose the best transport option for your budget. It’s true, most multi-vehicle trailers are very large and unlikely to be able to make a turning circle in your apartment block car park or cul de sac. But, if it’s a requirement for door to door delivery you can book your car in for single trailer or closed in trailer transportation for direct door to door service. Car shipping has never been so easy to book and cheaper to book, especially now that five popular car transport myths have been well and truly busted!